On Thursday, the Department of Transportation issued a warning to drivers of hazardous travel conditions across much of northeast Wisconsin that will likely last Thursday night through the late evening hours. Most roads across the NBC26 viewing area are described by WisDOT as ice and snow covered, with slippery stretches, which all equates to dangerous driving conditions. Temperatures are expected to drop below zero by Friday morning. 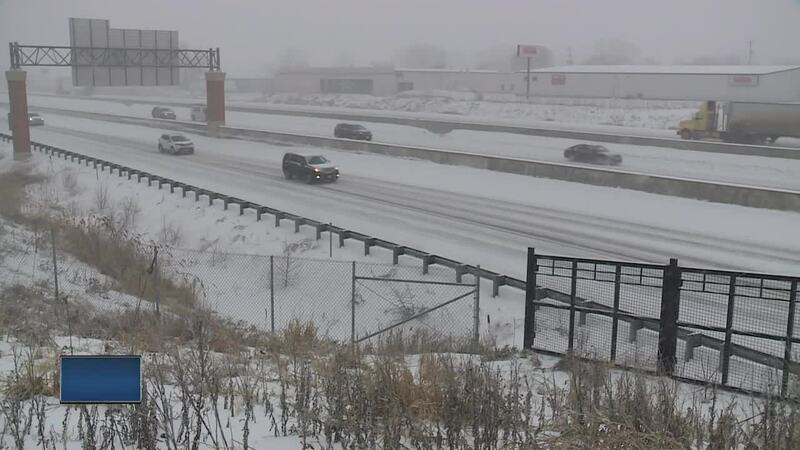 ASHWAUBENON, Wis. — On Thursday, the Department of Transportation issued a warning to drivers of hazardous travel conditions across much of northeast Wisconsin that will likely last Thursday night through the late evening hours. Most roads across the NBC26 viewing area are described by WisDOT as ice and snow covered, with slippery stretches, which all equates to dangerous driving conditions. Temperatures are expected to drop below zero by Friday morning.